Senate President Karen Fann said she’s asking the Arizona Board of Regents whether they need the legislature’s permission to create a new tuition category and plans to sit on legislation to create a new tuition rate for all Arizona high school graduates until she gets an answer. It’s the second week in a row that Fann, a Prescott Republican who also chairs the Senate Rules Committee, stalled House Bill 2186 in the panel that reviews the constitutionality of legislative proposals. That committee already weighed in favor of the proposal when the original version of the idea, Senate Bill 1217, went before the Rules Committee. Fann said Monday she had new questions. HB2186 directs ABOR and the community colleges to set a new tuition rate for all students who have graduated from an Arizona high school. It would cover all students, regardless of immigration status. Advocates said it would increase access to higher education and benefit the state’s economy. Patrick Morales, legislative director for the Arizona Students Association, said he found Fann’s comments odd. 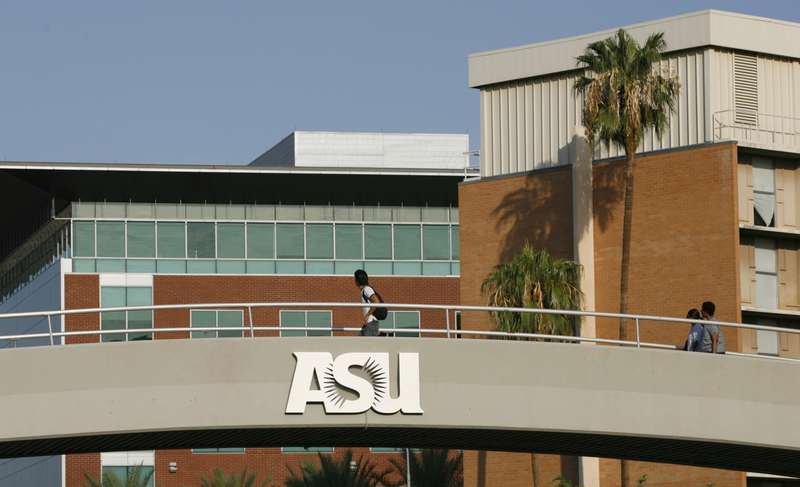 ABOR is responsible for setting tuition rates, but Fann said she wants to know whether the regents can create a new tuition category without direction from lawmakers. Under HB2186, the new tuition rate wouldn’t be tied to residency. Christine Thompson, president of Expect More Arizona, an education advocacy group, said she thinks it would be difficult for ABOR to create a new tuition type as proposed in HB2186 because it groups both residents and nonresidents. “I think it’s one of those difficult issues, one that could be contested in the courts,” Thompson said. ABOR is currently defending a lawsuit brought by Attorney General Mark Brnovich challenging its tuition rates. Brnovich argues the regents have unconstitutionally hiked tuition, and unfairly charge online and part-time students. Expect More Arizona has not taken a position on HB2186. A broad coalition of faith, business, labor and advocacy groups have supported the proposal. Reyna Montoya, founder of Aliento — a community group that works with undocumented youth — is among those advocating for HB2186. “If we look at educational attainment, we have a clear problem,” Montoya said. She cited a figure from Expect More Arizona showing only 45 percent of Arizona adults have a two- or four-year degree or trade certificate. HB2186 would make higher education more accessible, she said. “We have a clear problem, and we need to be able to propose solutions,” she said. Montoya said it’s frustrating to hear Fann suggest the legislature might punt the issue to ABOR. HB2186 is the second maneuver by Sen. Heather Carter, R-Cave Creek, to get through her high school graduate tuition proposal. Her original bill, SB1217, cleared the Senate on an 18-12 vote, with five Republicans and all 13 Democrats in favor, but died after House Speaker Rusty Bowers refused to let the bill be heard in the House. Carter introduced a strike-everything amendment to HB2186, a Rep. Michelle Udal bill. Fann agreed on April 8 to hold HB2186 for further legal review at Sen. Eddie Farsnworth’s request. Farnsworth, R-Gilbert, believes HB2186 is unconstitutional because he says it violates Proposition 300, a 2006 voter-approved law that says only people lawfully present in the United States can be eligible for in-state tuition. Carter’s legislation would create a new tuition rate that she anticipates would be more expensive than in-state tuition, but less than out-of-state rates. Carter previously told Arizona Mirror it’s important for this policy idea to pass this session. “Every year we wait to do something, it’s another group of students who might be priced out of higher education in Arizona,” she said.